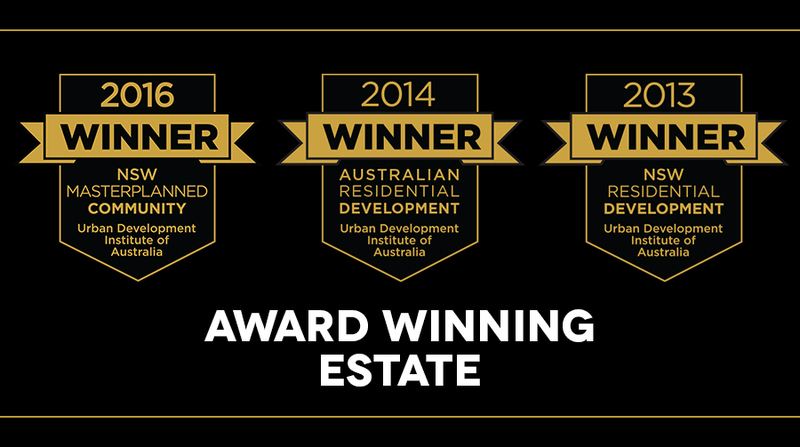 It is no surprise to residents that Harrington Grove has been awarded the best residential development 2014 by the Urban Institute of Australia – they have known it all along. Resident Donna Wickman has called Harrington Grove home for the past 18 months and has been pleasantly surprised with the relationships she and her family have developed. “I’m amazed to have made so many friends in such a short amount of time through community events like the Residents’ Rendezvous. I know everyone in our street and we have all become friends, so we socialise all the time. The staff at the Country Club are really friendly and helpful. They make you feel at home which is great,” she says. 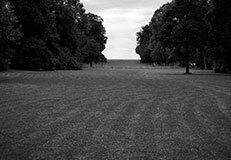 The first time she visited the estate, resident of 2 years Julie Smyth knew she was at home. “We absolutely love living here. From the moment we put a deposit on the land it felt like home. All of the facilities are here for us to use, and it is just stunning. Before we had even moved in we had that strong sense of community,” she says. On Sunday 3 August the streets of Harrington Grove were alive with the sound of feet pounding the pavement, the sight of colourful lycra-clad athletes (from a wide spectrum of athletic degrees) and the buzz of a moving community. The 2014 Harrington Fun Run was received with great enthusiasm from the local community and beyond, with participants coming from near and far to be a part of the day. The three track options – 3km, 5km, 10km – provided options for participants of all fitness levels with many even dressing up in hope of winning the ‘best dressed prize’ too. Harrington Grove is excited to announce the big move west! The release of Laurina represents the first activity in the western side of Harrington Grove, which is located west of The Northern Road and south of Cobbitty Road. Laurina – located in the northern part of the new area across from Macarthur Anglican School – is the first of three precincts that will be released within the western region. 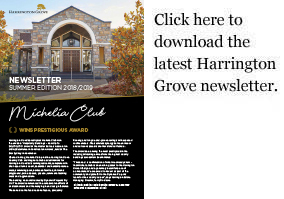 Residents will enjoy the same access to all of the Harrington Grove facilities, including the Harrington Grove Country Club and future Magnolia Club, swimming pools, community rooms, tennis courts, pathways and cycleways. There is also a second neighbourhood centre, the Michelia Club, set to be built in the western region, which will be greatly convenient for the residents of the three western precincts. New playing fields are also planned as is the restoration of the historically significant Orielton nearby. “We are very excited to announce our move west. We are incredibly proud of everything that has been achieved in Harrington Grove to date and are eagerly looking forward to the form that the western side takes on. While the quality will be the same, these homesites will have their own unique characteristics,” says Harrington Estates Managing Director Terry Goldacre. Now that the Fun Run is almost here, you should be pulling back on training to maintain your energy levels for Sunday. 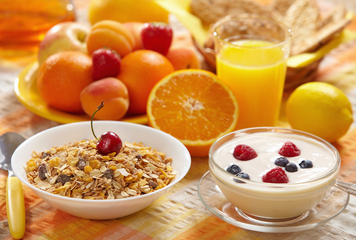 A lot is written about the food you should eat before a run. In the lead up choose plenty of low GI carbs foods, such as whole-grain pasta, brown rice, vegetables and multigrain bread. 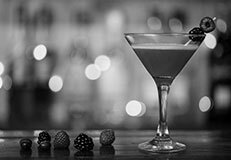 The night before, make sure you get a good night’s sleep, drink plenty of water and avoid caffeine. Consistently training four to five times a week can be a big ask with everyone already so busy with family, home and work life. So you may have hit a point where you’ve skipped a few sessions, perhaps illness has prevented you from training this week or even the weather – especially since these winter mornings can be cold and it’s dark by 5pm. But even if you’ve had a break or can’t get outside to train, all is not lost. 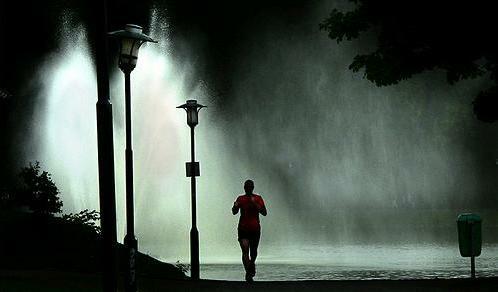 Running is as much a mental game as a physical one. Keeping your mind interested while running the same track day in, day out is just as important as building physical strength. 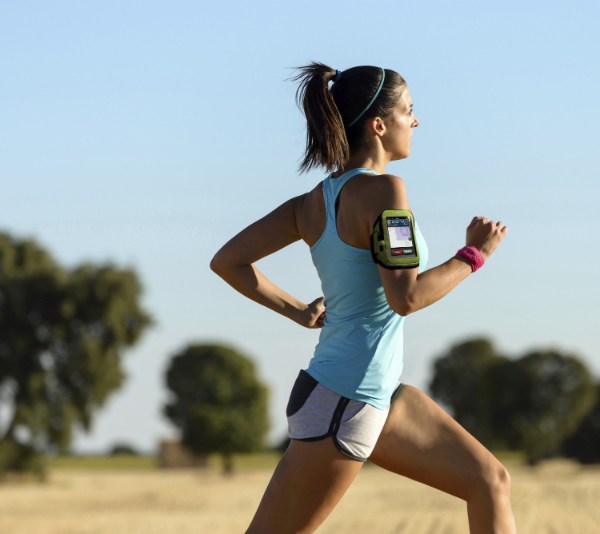 One way to keep it interesting is with a running app for your iPhone or Android. Whether you want to try out new routes, strive to be faster or have better endurance, there are a range of running apps – such as RunKeeper, Strava Run or Endomondo. It is now easier than ever to visualise the finished Magnolia Club, with the final product creeping ever closer. 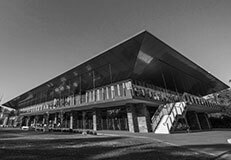 The latest images (in the gallery below) illustrate the building and its surroundings taking architectural form. The Colorbond roof has gone on, providing the best indication of what the finished product will look like. The bricklayers have commenced, getting to work on the fireplace and chimney. You can already imagine spending chilly days relaxing in front of the roaring fire! The ground has been prepared for tennis court. 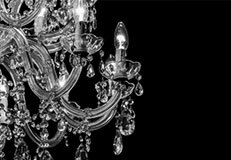 As one of two neighbourhood centres, Magnolia Club will act as another destination for Harrington Grove residents to relax and unwind. After your first week of training, you should be feeling fitter and start to build up your distances and beating your times. This week, we focus on general conditioning and building up your overall fitness level and strength ahead of the Harrington Fun Run. When you first start training, aim for general conditioning training that is mixing up interval running / walking till you can run further and beat previous times and distances. Aim for three to four running / walking sessions each week and other days try and get in some strength or flexibility training – such as a Core & Strength, Extreme30 or Fitcamp. 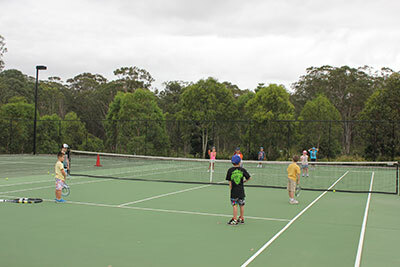 The winter holidays tennis camp has gone off with a bang! 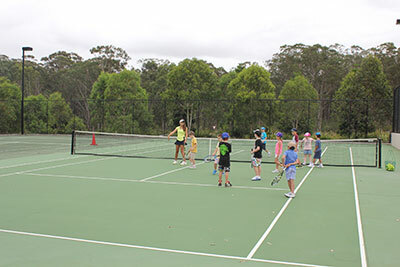 Children have been flocking to the Harrington Grove Country Club tennis courts to practice their skills and make new friends. It comes as no surprise to parents that children need stimulation during the school holidays to ward off boredom and frustration, especially during winter when it can be hard to find the motivation to go outdoors. Keep an eye out for details about our next school holiday sport camp and get in early to secure your spot. On Sunday 3 August 2014 the Harrington Fun Run will again kick off, in support of Make a Wish Australia. All entrants can choose the distance of their run (or walk of course) – 3km, 5km or 10km. Regardless of the distance you are running, there are some insights to getting ready for the Fun Run that will ensure you have a great time and avoid any injury. 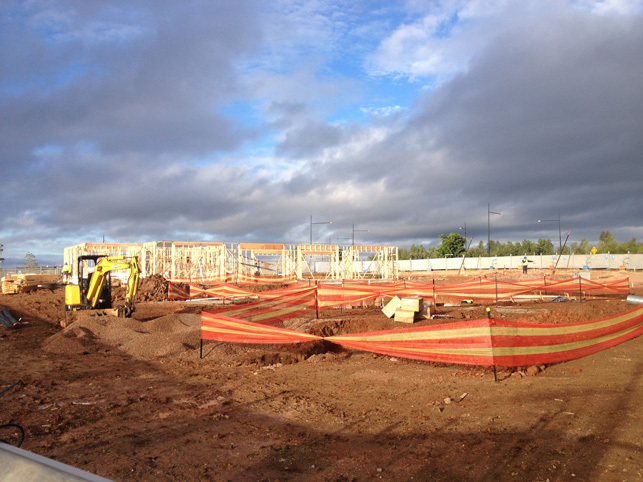 Residents are eagerly tracking the construction of Magnolia Club, which is developing with great speed. The concrete slab and frame are now both complete, giving residents a great insight into the size and form of the final product. Magnolia Club is the first of two neighbourhood centres. It will form an integral part of life in Harrington Grove, providing residents with another destination to relax, socialise and unwind. It is expected to open in summer, just in time to make the most of the pool and barbecue facilities. The new winter menu at Harrington’s Bar and Grill, in the Harrington Grove Country Club, features a menu of mains that showcase the best produce from around the country. We thought we’d bring you a snapshot of what’s on the menu this winter. 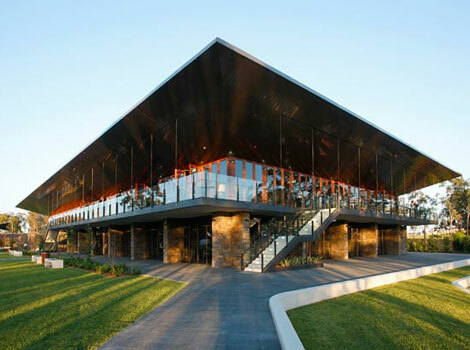 Cone Bay Saltwater Barramundi exhibit characteristics like no other barramundi in the world. This is, quite simply, because there is no other location like Cone Bay in the world. The extremely remote island sits amid the world-renowned Buccaneer Archipelago, comprised of some 1100 picturesque and unspoilt islands. A twice daily racing tide ranging between seven and eleven metres rips through the bay meaning that Cone Bay Barramundi are always at work. This results in an animal that is terrifically robust and, externally, in absolutely brilliant condition. Harrington Grove’s latest land release, Wildfire, will be available from tomorrow, 24 May. Set in a natural bushland enclave with magnificent leafy outlooks, these 98 homesites are truly spectacular. Wildfire’s position along Dan Cleary Drive provides the best of both worlds; it has a serenely secluded setting whilst also being close to the amenities on offer at the Harrington Grove Country Club, which is just 600m away. Wildﬁre is the common name for corymbia ﬁcifolia, a tree with striking red ﬂowers that blossom late in Summer. These red ﬂowering trees are a spectacular backdrop to the latest land release.